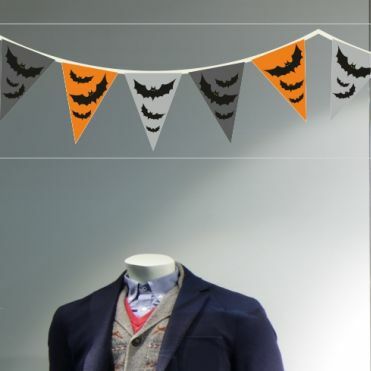 Halloween shop window displays and home decorations. 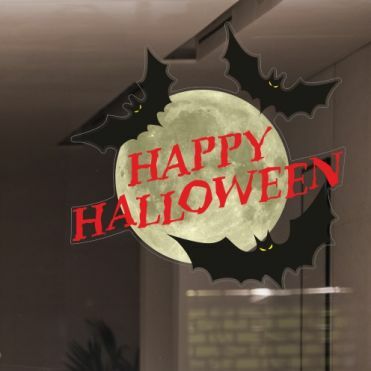 We have many Halloween window stickers to choose from available in a choice of sizes and colours, self-cling for temporary displays on glass or self-adhesive for other surfaces. Easy to apply in minutes with the free tool provided. Wide range of bats designs, from stickers to borders. Range of pumpkin and Jack O' Lantern designs. Spiders, graveyard, haunted house and much more. Ghost sticker packs, or individual stickers in a choice of sizes and colours. 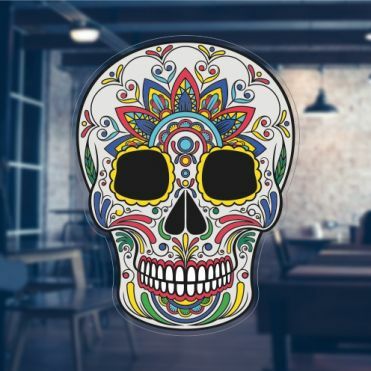 Day of the Dead themed stickers. Halloween themed bunting sticker collection. Supply your own artwork and we'll produce the stickers for you. 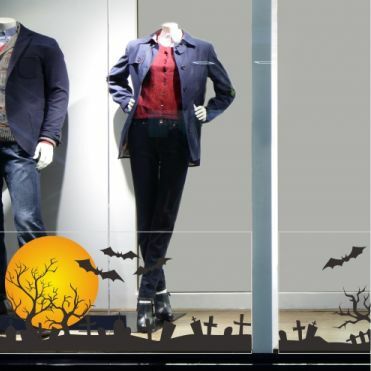 Halloween has become a very important date in the retail calendar. 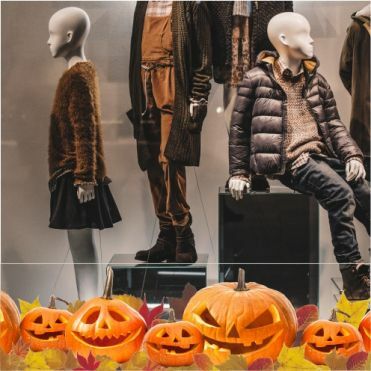 As a response to increasing demand, we have designed a collection of Halloween window stickers to help shops and retail outlets to build eye-catching window displays and decorations. They can also be used at home to scare the neighbour's kids. 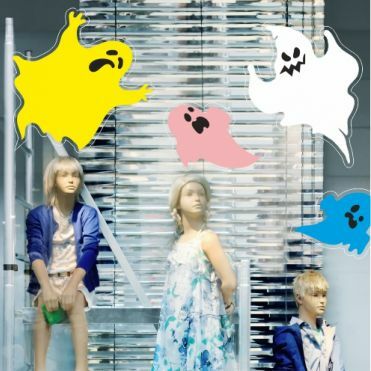 Halloween window displays and window stickers are the essential for grabbing that elusive passing trade. So get into the spooky mood with our frightful stickers. The stickers can be ordered in a choice of colours, sizes and materials. They can be applied to glass or any other smooth, flat surface including plastic, metal and wood (self-adhesive). In addition to choosing the standardly sized decals, you can purchase most of our designs as large individual stickers in a size of your choice, or in the case of certain designs, as a pack of individual stickers of varying sizes. Which side of the glass do you apply the stickers on? When ordering, you can select the aspect of the sticker depending on whether you intend to apply the sticker on the glass internally, to be viewed and read externally (print in reverse), or applied externally or on a surface other than glass, to be read face on as a conventional design (print as seen). How are the stickers printed? All our designs are digitally printed using UV resistant ink to ensure that colours are long lasting. We also back print the coloured design with white ink to ensure that the colours are more vibrant when viewed through the glass. We recommend a self-adhesive film for long-term applications as it's more durable and less prone to being picked away. The self-cling window stickers are reusable and peel off in seconds without tools. How easy are window stickers to apply? Very easy, and very quick. All you need is a bit of soapy water in a spray bottle, and the application tool supplied with your order. But don't take our word for it. Take a minute to watch our video tutorial. It's child play!